“Just living is not enough, said the butterfly, one must have sunshine, freedom, and a little flower” (Hans Christian Anderson). In the poetry of the Syrian poet and documentary film maker Hala Mohammad, the butterfly is a major symbol describing an aspect her poetical process. 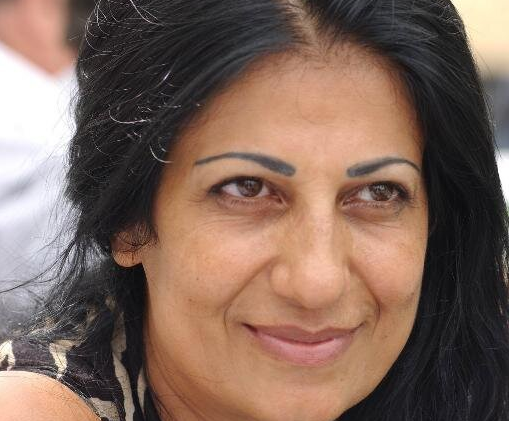 No wonder that when talking about the state of poetry inside Syria after 2011 she said: “The most beautiful poem written this year (2011)” is ‘The Syrian people will not be humiliated’”. “The Syrian people will not be humiliated” was the slogan of the Syrian Revolution. Today (2015), four years after the “Syrian Revolution”, most observers agree that the Syrian tragedy cannot be solved by military strikes against the ruling regime. What is left to oppositionists in Syria and outside is, among other traditions, poetry. Hala Mohammad, exiled Syrian auhor, takes this tradition seriously. Hala Mohammad grew up in a liberal family (“My parents were idealistic”), studied film making at the Université Paris VIII Vincennes-Saint-Denis and then worked as a costume designer for two well-known Syrian films, al-Lail and Sandouq al-Dunya. Since 1994 she has been active as a poet. Her earlier work includes five poetry collections: The Soul Has No Memory (1994), Over That Mild White (1998), A Little Life (2001), This Fear (2004) and As If I Knocked On My Door (2008). In Waiting for Spring she explains how she thinks poetry is central to the political change under way in the Middle East. She made a casting of political prisoners, saw approximately 500 prisoners before she could cut it down to three people. She chose Yassin al Haj Saleh, Faraj Baiqdar and Ghassan Jibai … They agreed not to talk about politics but to focus on humanistic issues. They also agreed on the fact that this movie was about the future of Syria and not about dwelling on the past. I was so scared that when I was standing in front of a window, all I saw was darkness. The freedom that I had been working on so hard during the movie was drawn in fear in this particular moment. Of course, secret services attempted to intimidate me by interrogating me on a daily basis. It was meant to make me feel watched. But I don’t like to complain about it, especially right now during the revolution because I feel it is my duty to fight for freedom, justice and equality. In Waiting for Spring, her filmed biography, there are – accompanying the poem – windows which open to Paris. The Butterfly Said. Riad al-Rayes Books (2013). Her to date last and sixth collection of poems, The Butterfly Said (2013), comes from period of sorrow during which Hala Mohammad continuously followed the events in Syria but was unable to write. The deteriorating situation in Syria made it impossible for her to return, reducing her to a state of passivity difficult to manage. The shock, however inevitable and necessary, dissipated when she realised that her voice and the strength of her words might count. Conceived as a “documentary collection”, The Butterfly Said reflects her views of the revolution as a human act “for freedom and equal citizenship” and her willingness to translate the horror in “words of love” (Margaux Bonnet). According to the publishers the book is divided into two parts: “The Butterfly Said” is the first part and it contains seventy-one poems telling stories about Syrian cities, the absurd war, the displaced and the immigrants. The second part is titled “Mothers”, where the poet chose several mothers to be featured with a brief introduction about each one of them, and a touching lament. “You can not kill the symbol” Hala assures me. Its space of existence is the light, and the colors it wears is its contemplation field. The butterfly is silent and its silence admirable. That makes it eloquent. … The poet, who identifies with their fragility, wants to do justice to these beings without speech. But the world admires the noise and will not listen to the silence of the butterfly … (translated from French). Plays with your expected child. For no father abandons his unborn. Death does not become you. and death flew out of the picture. Poems have sparked revolutions. In poems that have effectively entered the public sphere, a lot is said, but a lot is also unsaid. This makes poems a powerful tool of protest. For Hala Mohammad poetry is an element in a larger vision. Poetry, she explains in Waiting for Spring “really does leave an impression. . . A poem of love can have an effect, can help you feel beauty. . . Until now weapons are stronger than us. Maybe they are faster. . . But I think poetry will endure”. Al Jazeera. Poets of Protest: Hala Mohammad, Waiting for Spring (23 Mar 2014). Bhattacharya, Aritra. “Between laughter and revolution”. The Hoot (30.09.12). Bonnet, Margaux. ”Des mots pour dire le silence: La poésie de Hala Mohammad.“ From.sham.with love. Dinh, Jean-Marie. ”Pour Hala Mohammad: La vérité et la liberté sont l’oxygène de la paix”. Internationales Literaturfestival Berlin. ”Hala Mohammad”. Klappert, Hartwig. 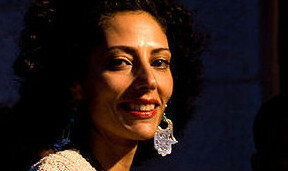 “Hala Mohammad Portrait”. Kalamu ya Salaam. “Hala Mohammad: Waiting for Spring” (Interview and Video). Al Jazeera English. Mohammad, Hala. “On Syria”. Internationales Literaturfestival Berlin (07-16.09.16). Mohammad, Hala. “They are stealing the soul from our revolution”. Qantara (11.05.2015). Mohammad, Hala. “Prison: Geography of Despotism” (Translated from the Arabic by Joseph Sills). Al Jadid vol 17:64. Stolton, Sam. 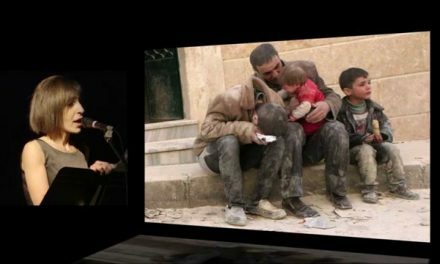 ”Poetry – Syrian Poetry: Revolution, Freedom and Breaking the Old Phantom of Fear”. Poejazzi (January 31st, 2014).